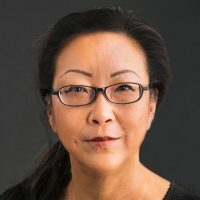 As president of RFA, Libby Liu provides strategic and operational direction to meet RFA’s mission of providing balanced, objective news to listeners in East Asian countries where such news is unavailable. In addition to directing editorial and administrative policies and procedures, she coordinates issues in these areas with USAGM and other associated entities. Her responsibilities include ensuring the highest quality administrative and technical support to the editorial staff. In this capacity, she works to facilitate effective, timely communication and broad-based collaboration among all divisions and bureaus. Prior to assuming this role in 2005, Liu served as vice president for administration and finance from 2003–05. Previously, she served as director of administration and strategic planning at the Baltimore-based National Association for the Advancement of Colored People (NAACP), where she played a pivotal role in implementing the NAACP’s Five-Year Strategic Plan Goals and Objectives. Earlier, she served as director of human resources with the high-tech firm Spyrus Inc. based in San Jose, Calif., and as assistant district attorney in the San Francisco District Attorney’s office, where she prosecuted felonies. Ms. Liu’s earlier positions in private practice—at Morrison & Foerster in San Francisco and at Proskauer Rose Goetz & Mendelsohn in New York—focused on labor and employment law. From 1986–1989, Ms. Liu was a senior consultant at Coopers & Lybrand, now Price Waterhouse Coopers, in Washington, DC. A California native, Ms. Liu is the daughter of Chinese immigrants and she has traveled widely in East Asia. She holds a bachelor’s degree from the University of California-Berkeley, an MBA from The Wharton School of the University of Pennsylvania, and a J.D. from the University of Pennsylvania.